Put your mind to this one – Joyce's mystery and fiction book reviews with some non-fiction too! 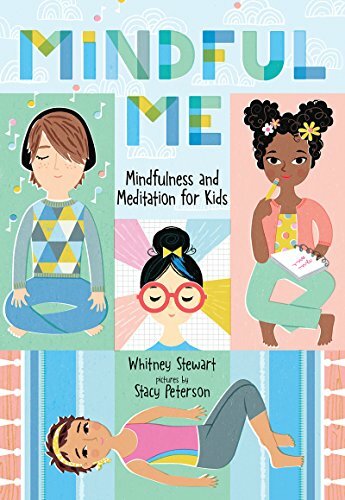 Mindful Me is a book that should be in every preteen to young adult’s library. Kids in that wide age range often do not share their deepest feelings with their parents yet many times they experience intense stress. This wonderful book teaches mindfulness in a way that is easy and sensible. The authors also encourage kids letting a “helpful adult” know what is going on when things are not going well. Full of helpful exercises and advice, this book is highly recommended…and may I add that it would be an excellent resource for adults as well! One quibble…why only girls on the cover?? The top left one is a boy 🙂 They also have an activity book. Thanks. I was not sure that was a boy tho it clearly could be I know the clothes are blue.